Another galaxy from the fine spell we had in March 2012. NGC 4145 is a nicely formed by very small spiral parked right next to an extremely bright Mag 7 star, which makes for an attractive if challanging framing. The smooth result comes from oodles of exposure. 4 hours on the 8 inch newtonian. 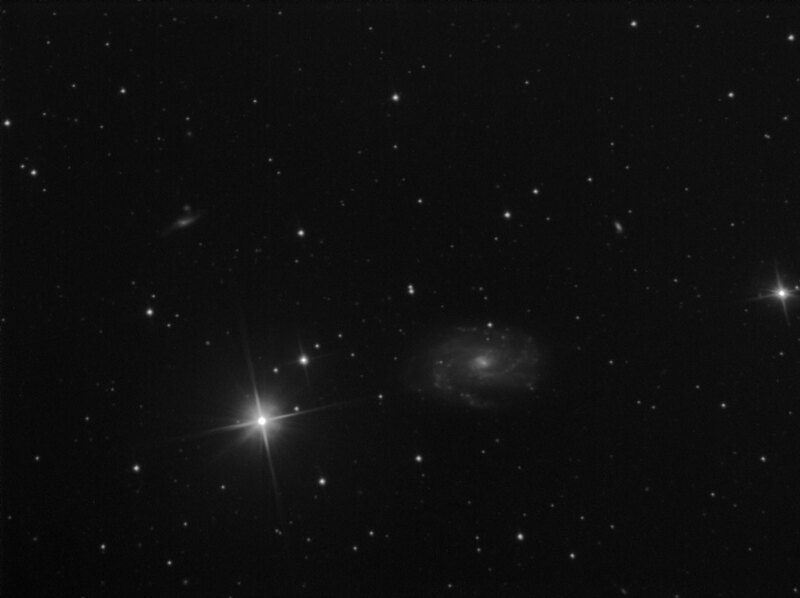 This image was autoguided using my homemade off axis guider with Lodestar.